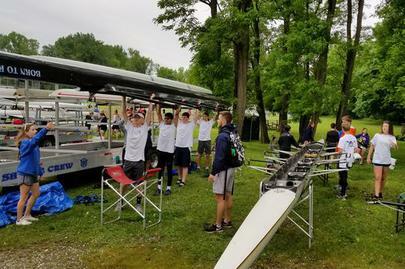 Shaker Crew offers competitive and recreational rowing for novice and experienced student-athletes at Shaker Junior & Senior High Schools. If you are interested or want more information, please join Coach Brandon in the Taft Cafeteria @ 4:00 pm Wednesday, Thursday or Friday, 3/6-3/8. Pricing is $700. For more information and to Register, please visit our Registration Page. Please email ShakerCrewInfo@gmail.com with any questions.